Enjoying one of Athlone’s sought-after addresses in the popular neighbourhood of Curramore, Kiltoom, is this superb four-bed detached bungalow surrounded by beautifully landscaped sun-orientated gardens. 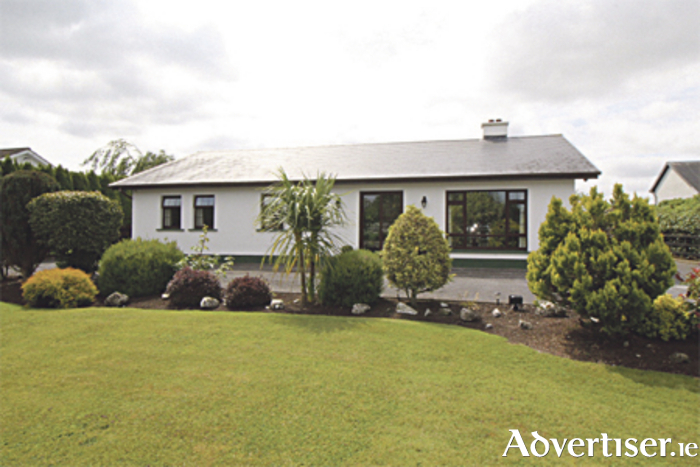 Located off the Roscommon Road, some of the many reasons this neighbourhood is popular is its close proximity to Hodson Bay Hotel & Spa and Athlone Golf Club, an 18-hole parkland course on the shores of Lough Ree, both of which are a short walk away. The town of Athlone is also only a matter of minutes away by car. Viewing of this property is highly recommended in order to fully appreciate what it has to offer.